This day of protests is a serious test of the fragile calm between Israel and Hamas, the Islamist group that runs the Palestinian-controlled Gaza Strip, says the BBC's Yolande Knell in Jerusalem. 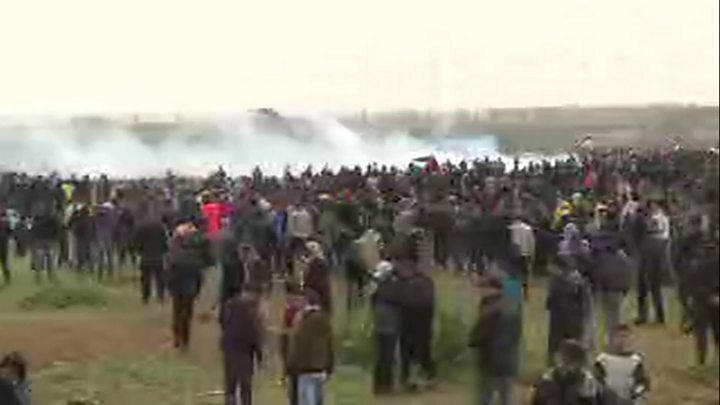 The IDF said explosive devices had been thrown over the border fence and Israeli forces had responded with "riot dispersal means" and live bullets. 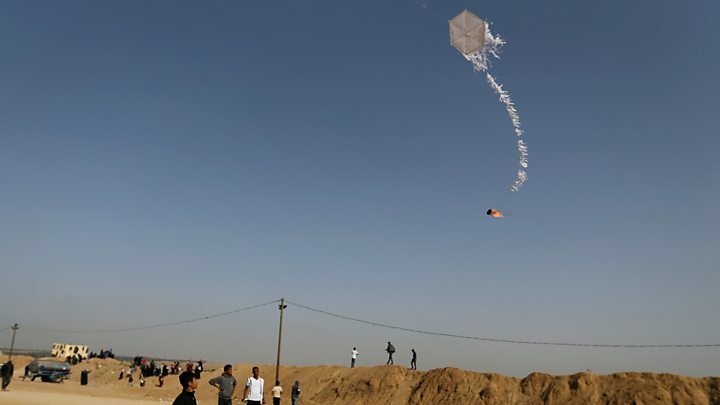 They came after a tense week in which Palestinian militants fired rockets at Israel and Israel's air force struck dozens of sites in Gaza. 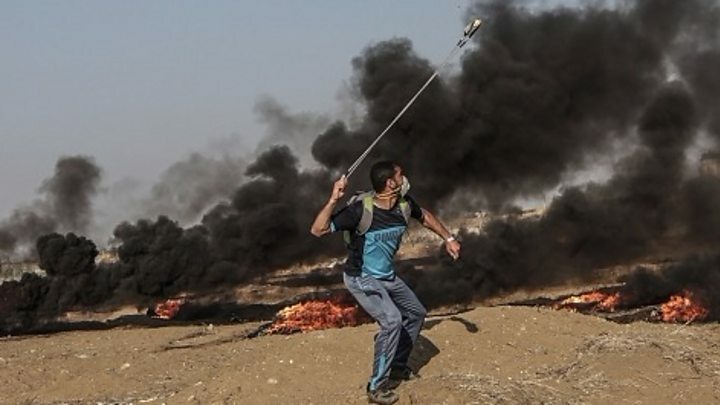 Palestinians have been taking part in protests along the border since 30 March 2018 as part of a campaign dubbed "the Great March of Return".